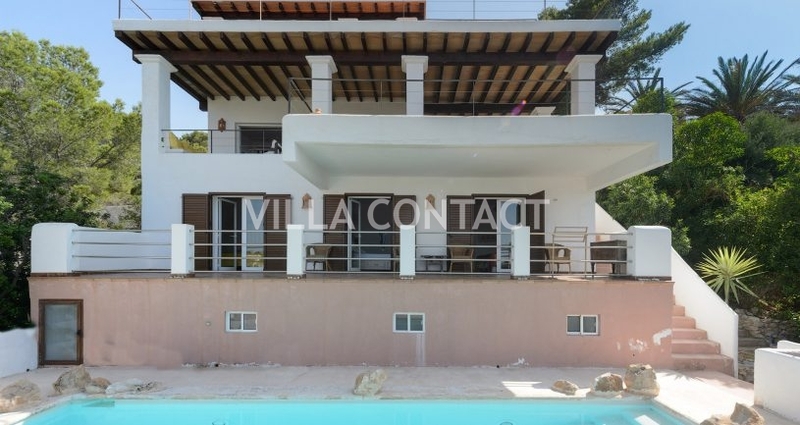 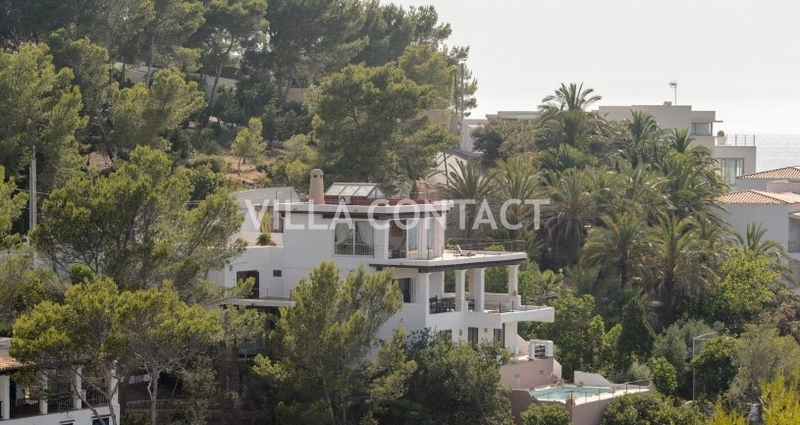 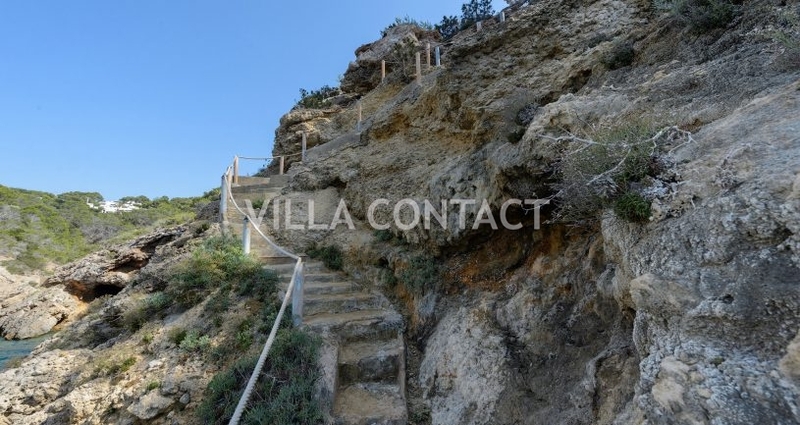 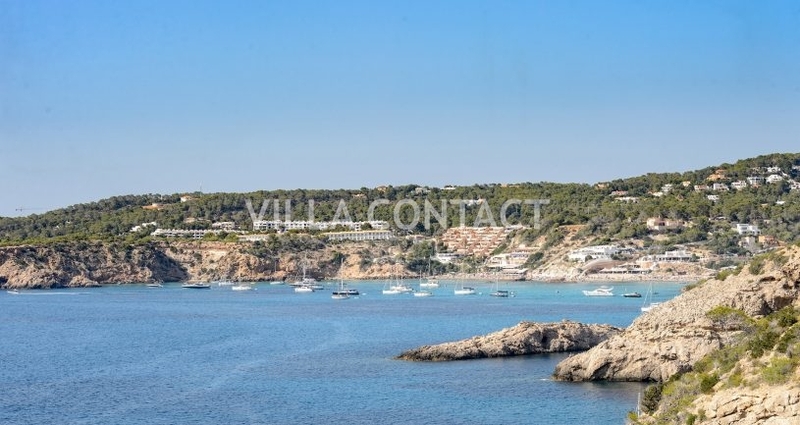 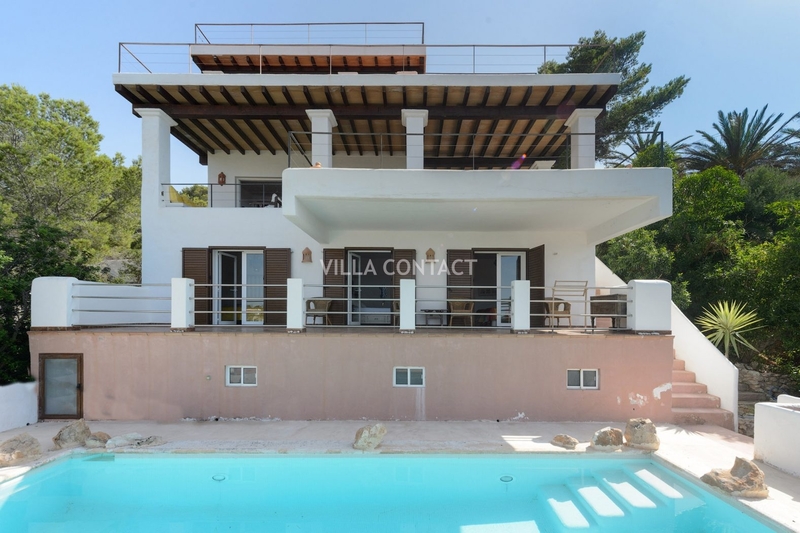 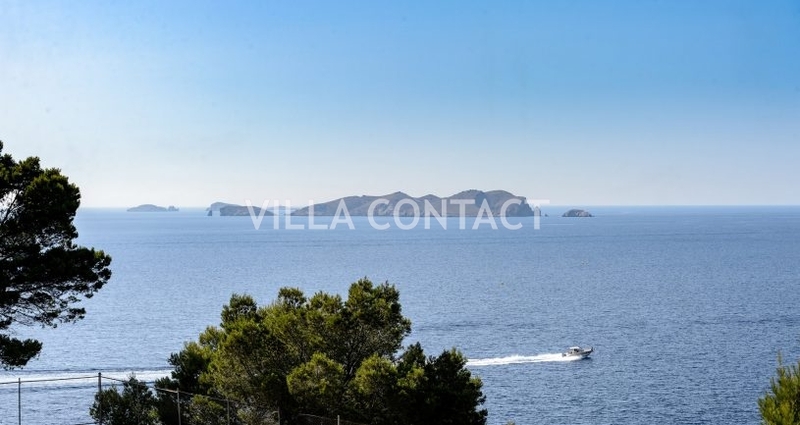 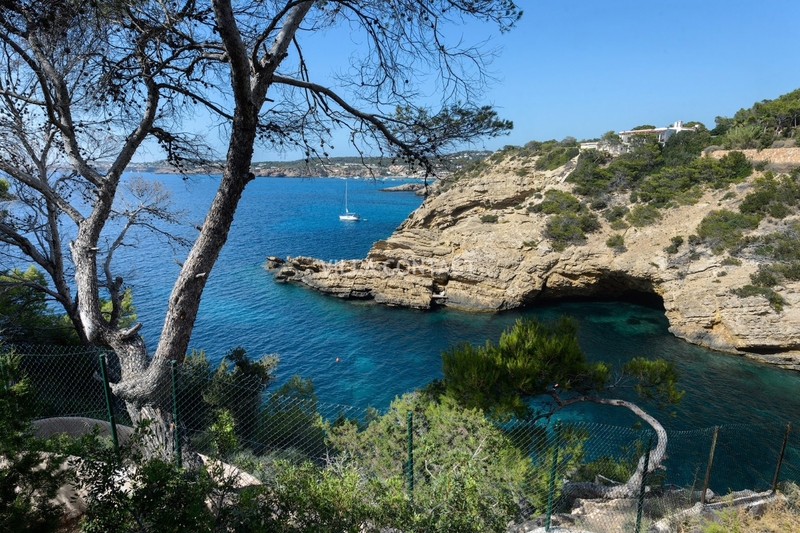 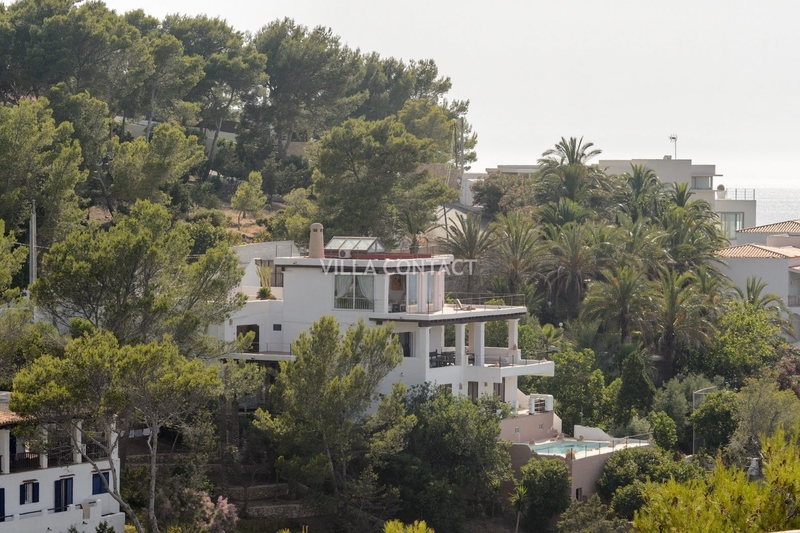 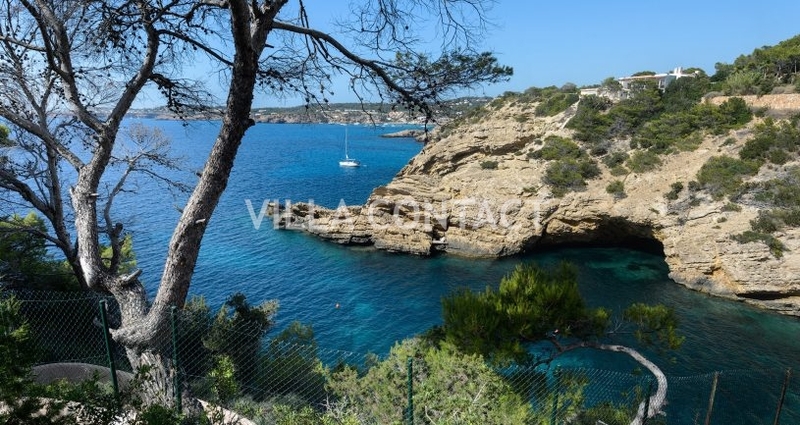 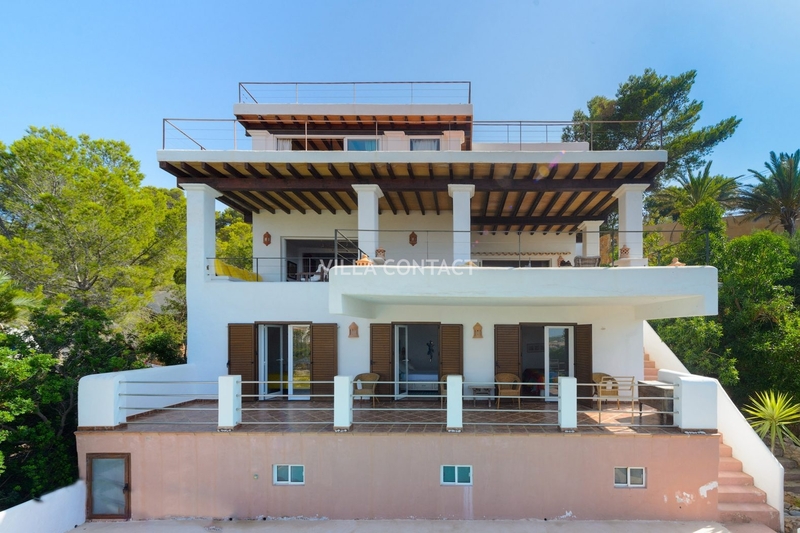 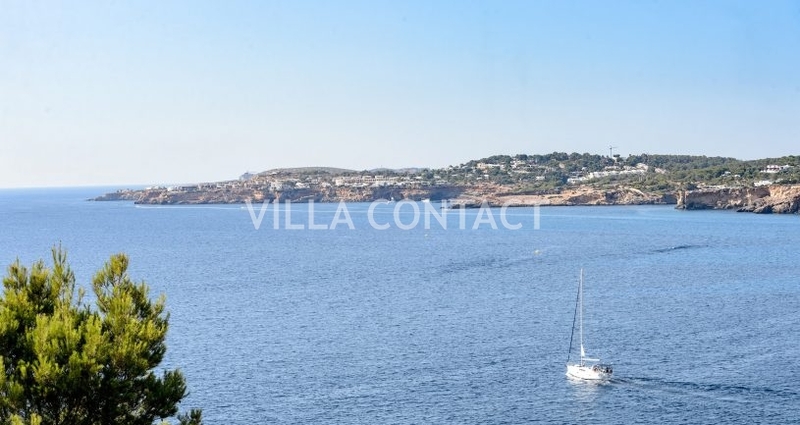 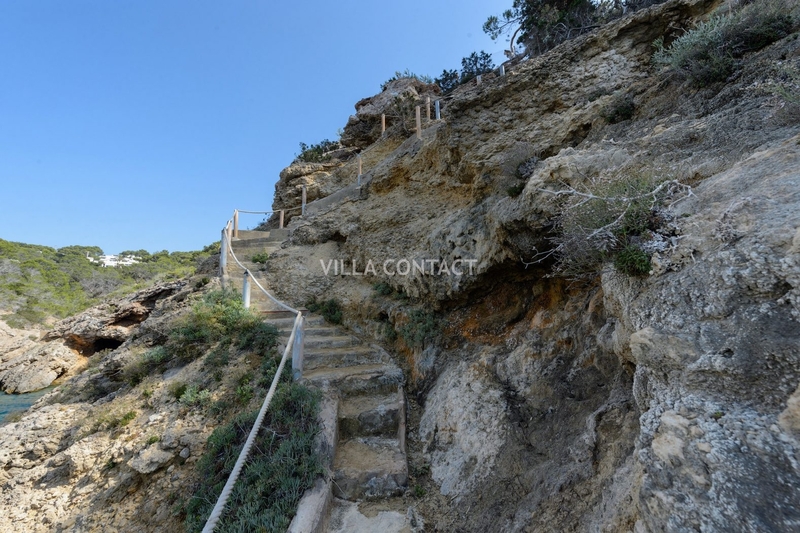 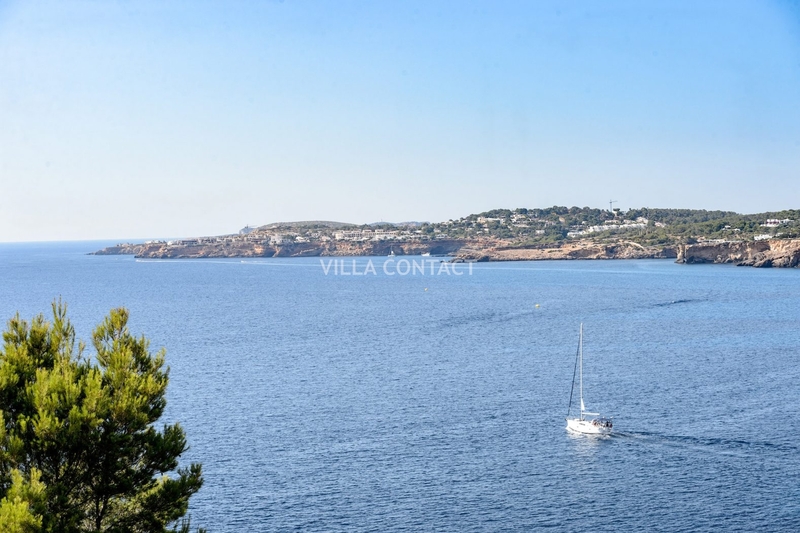 Front line villa with private sea access only 25 meters from the sea level with private key and two mooring buoys. 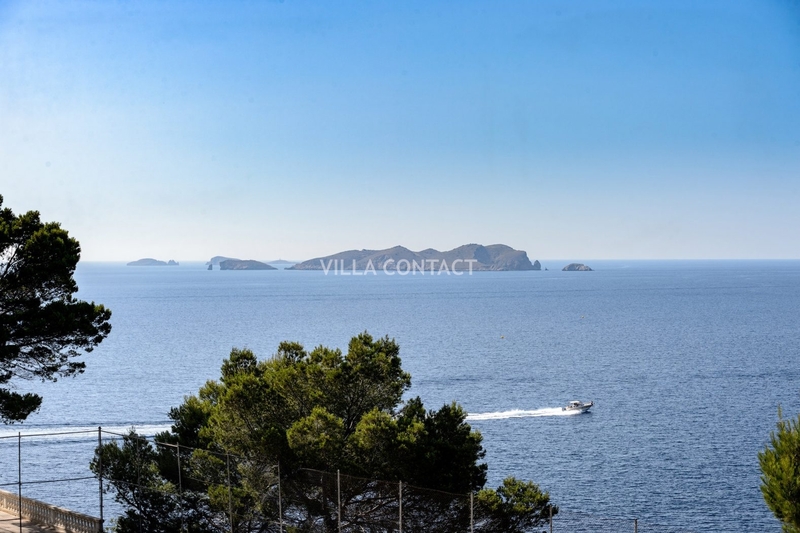 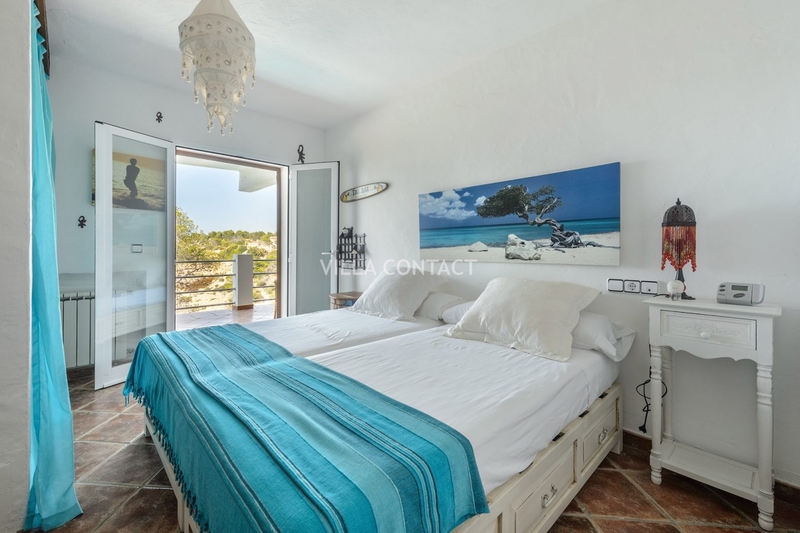 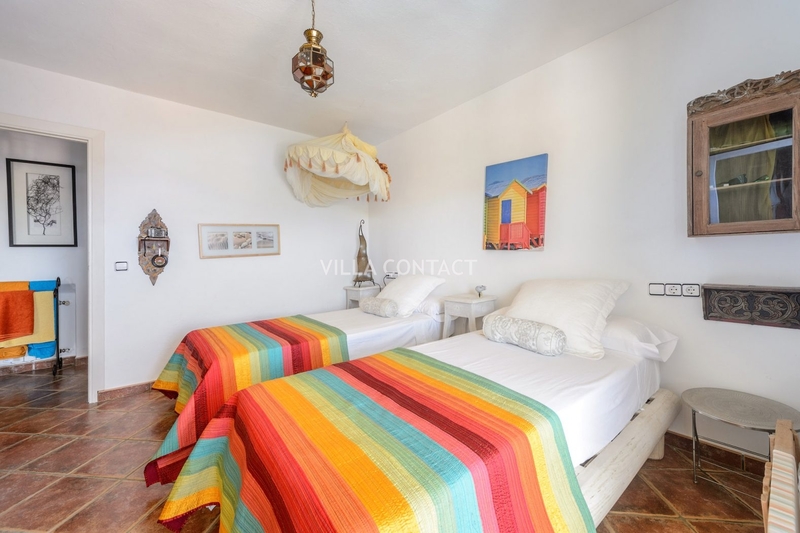 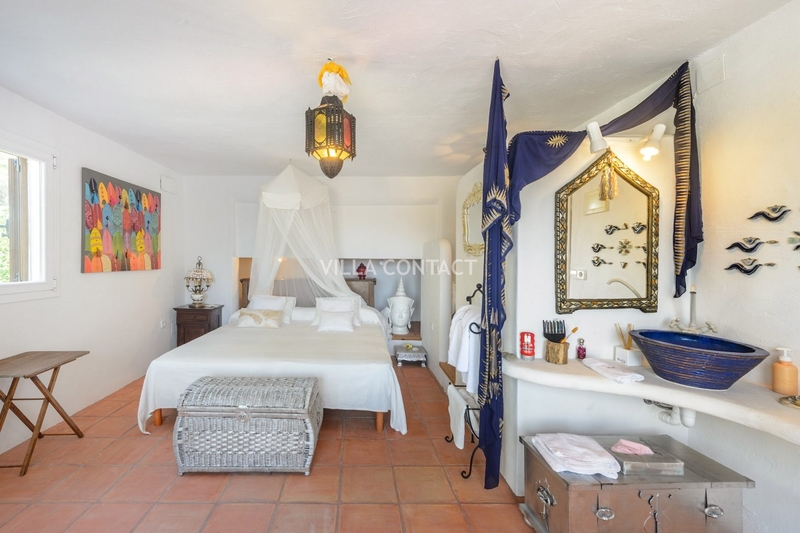 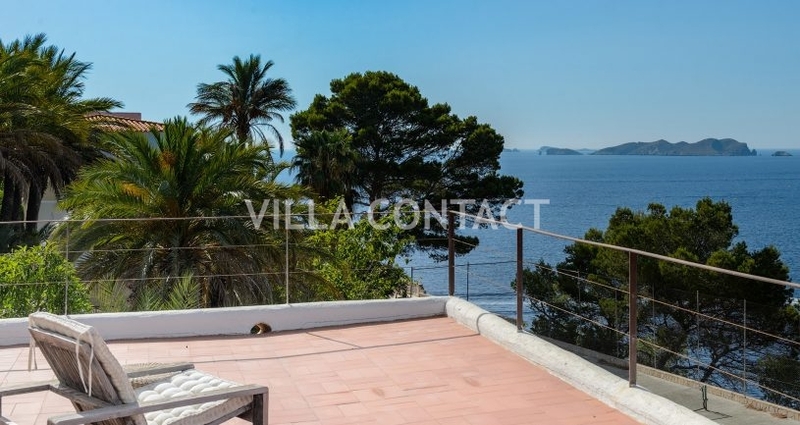 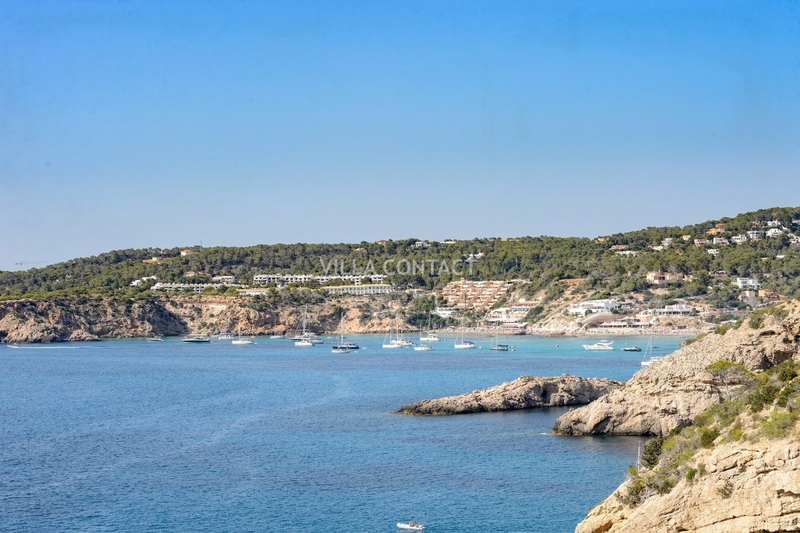 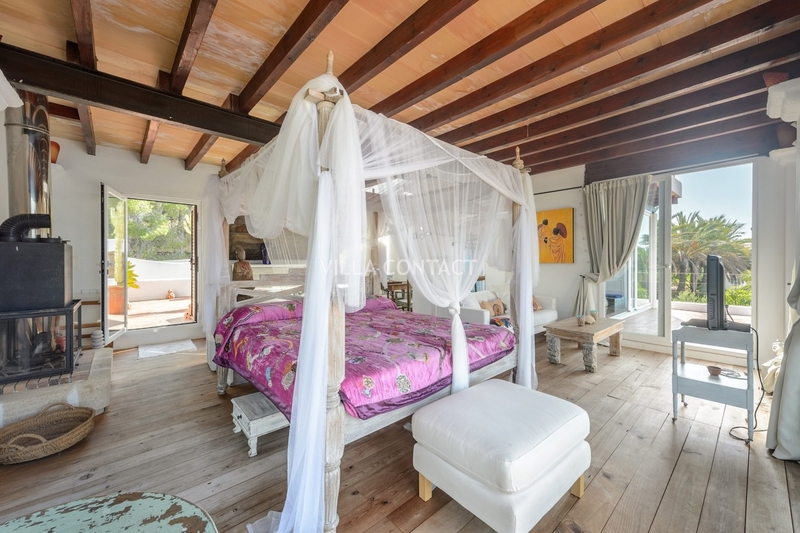 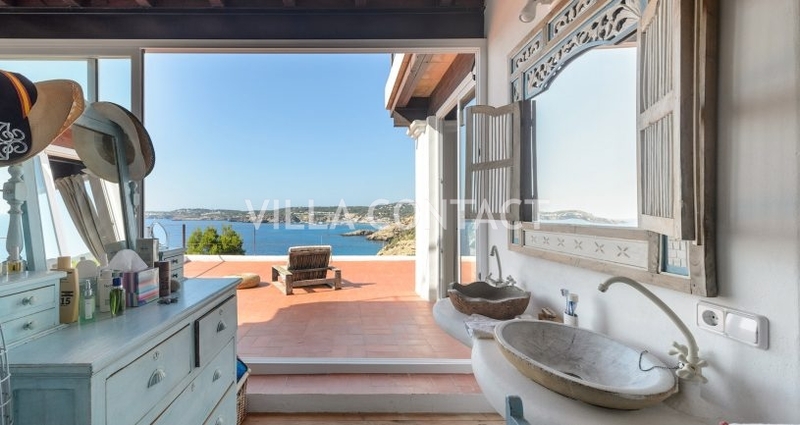 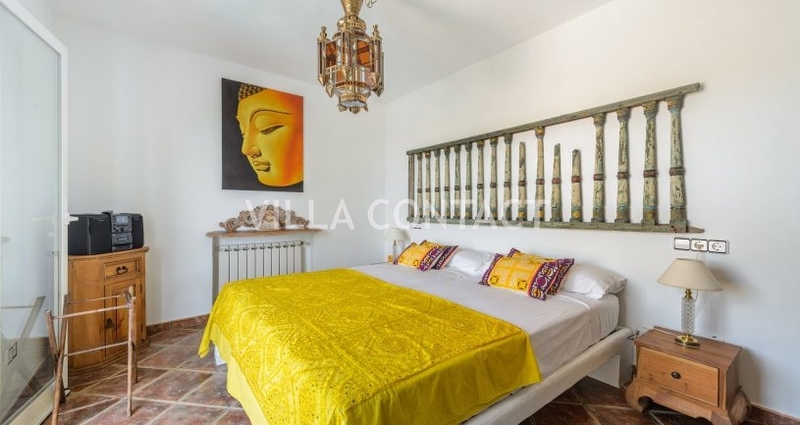 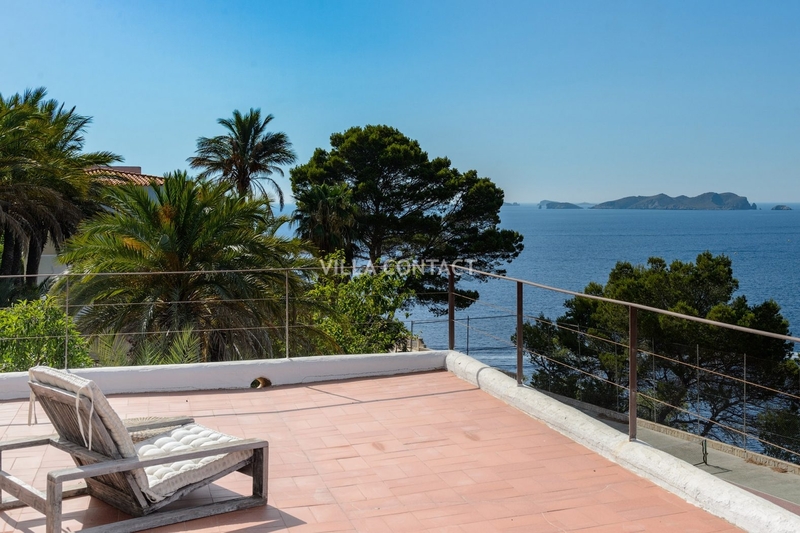 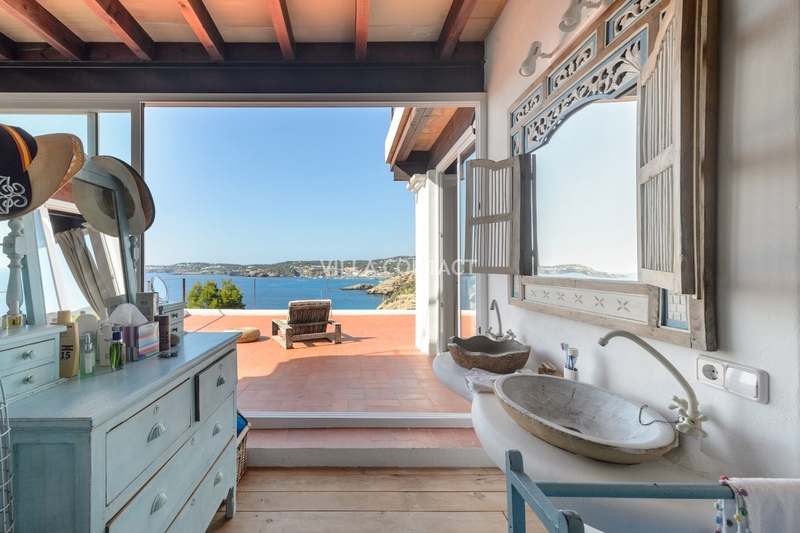 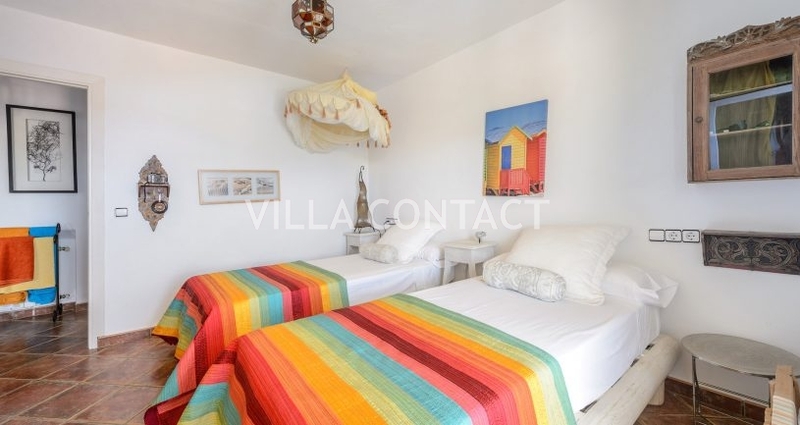 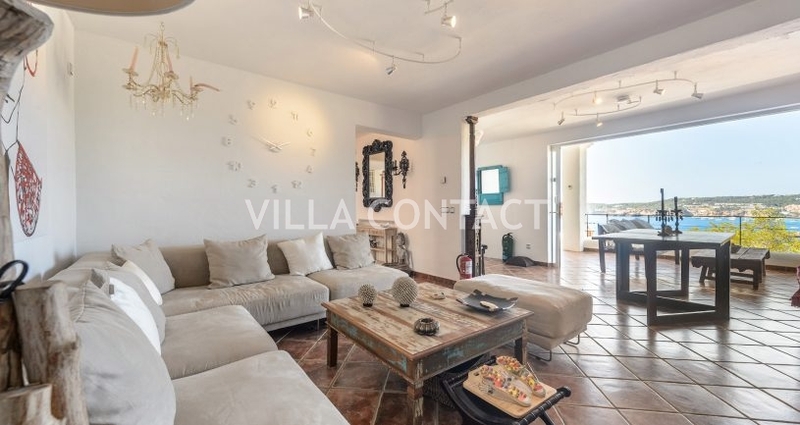 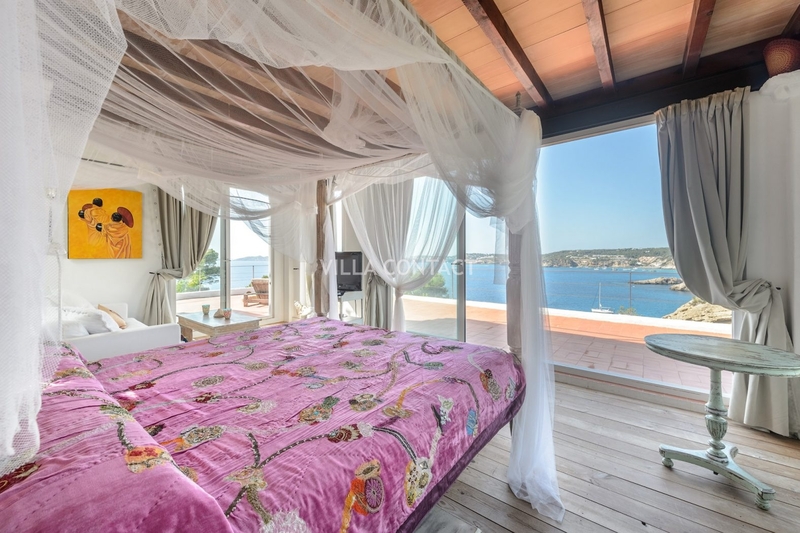 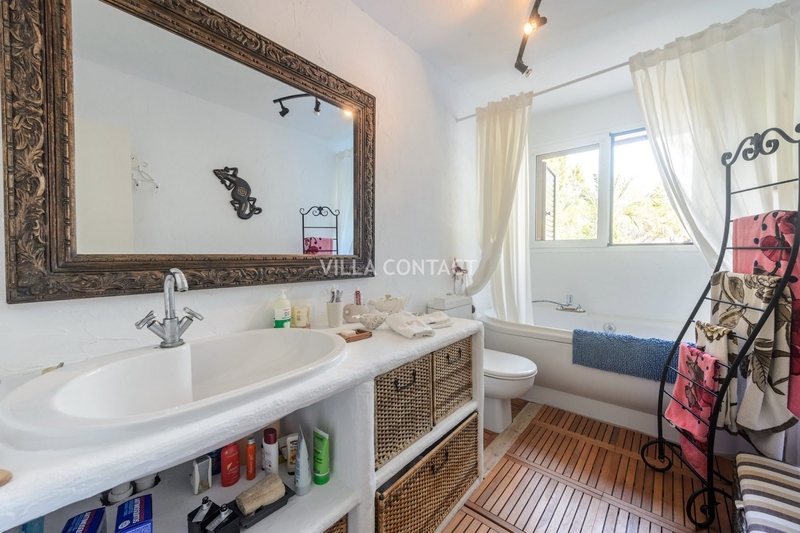 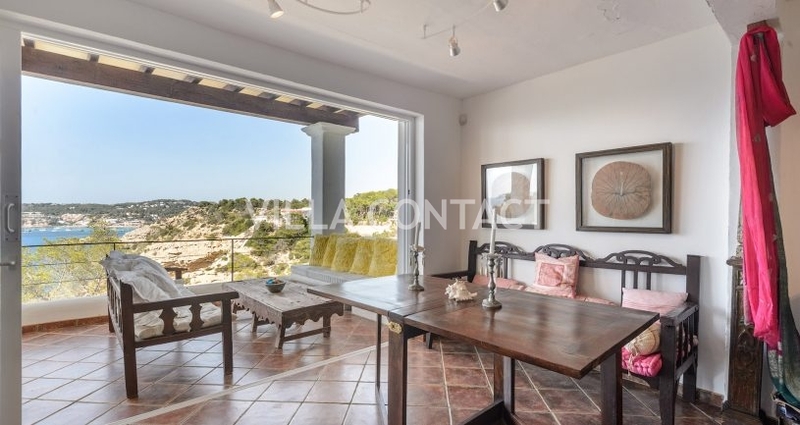 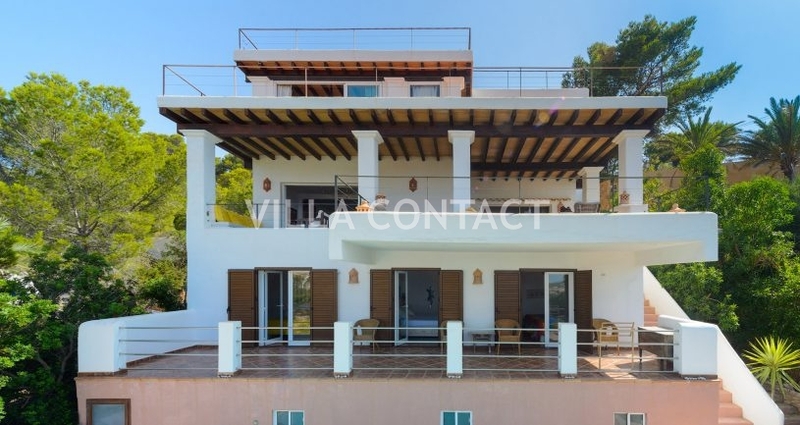 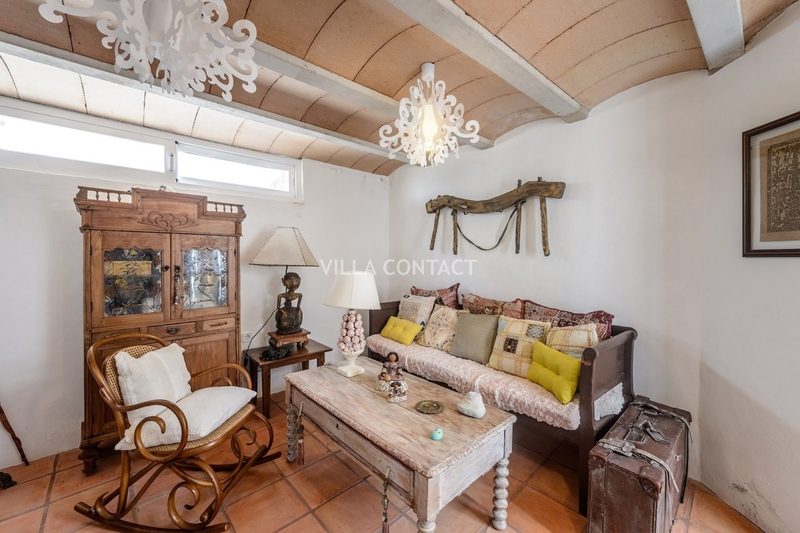 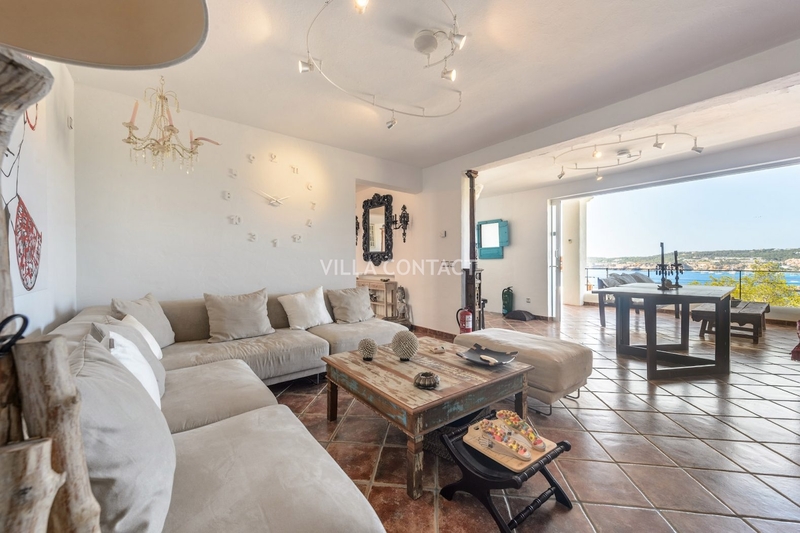 The villa is situated in a quiet cul de sac on a plot of 1175 square meters and enjoys uninterrupted views of the sea, sunset and neighboring islands of Conejera and S´espartar. 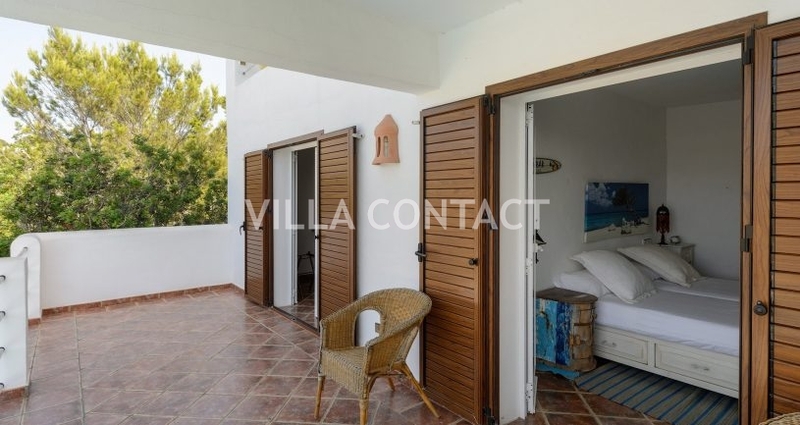 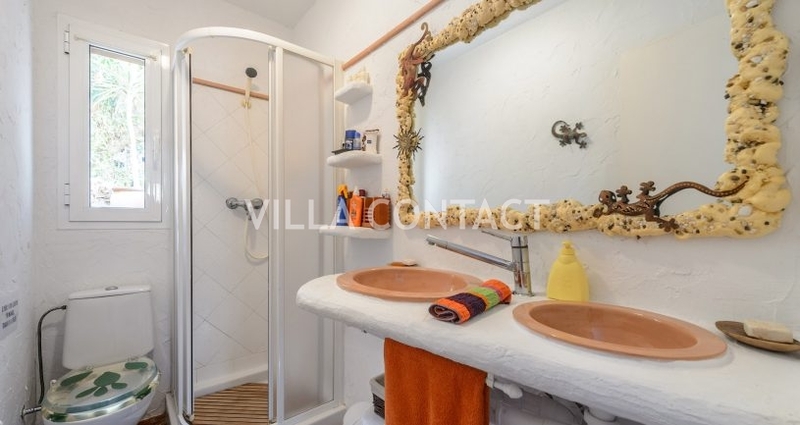 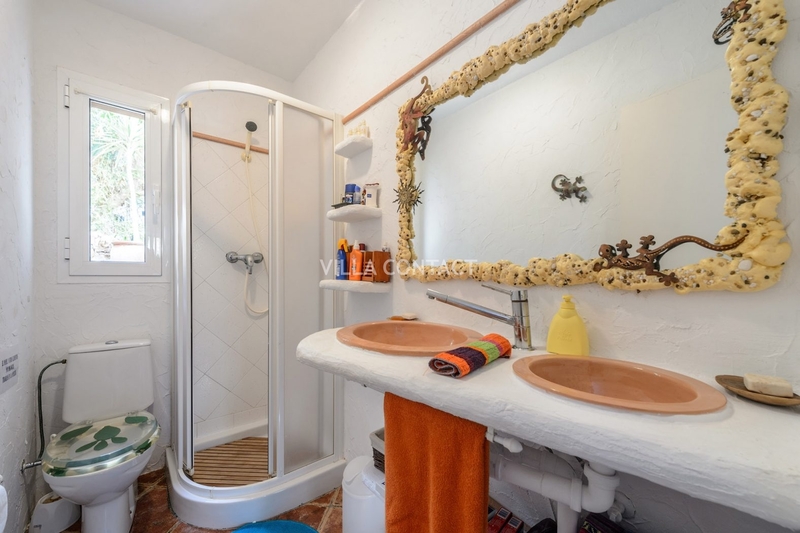 The property is distributed across three floors with 3 bedrooms and 2 bathrooms on the lower ground floor, kitchen and living room plus 2 bedrooms and 1 bathroom on the ground floor and a further master bedroom with ensuite bathroom on the first floor. 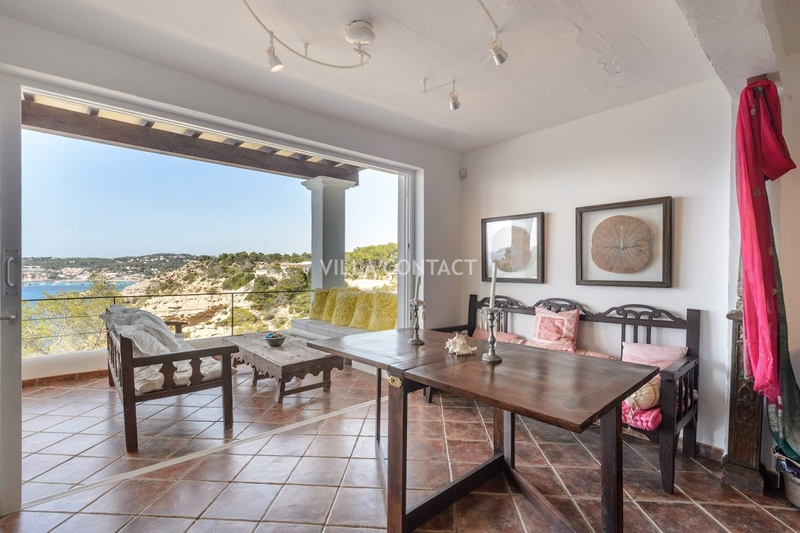 The ground floor opens out onto a large covered terrace with a chill out area and dining table with stunning sea views. 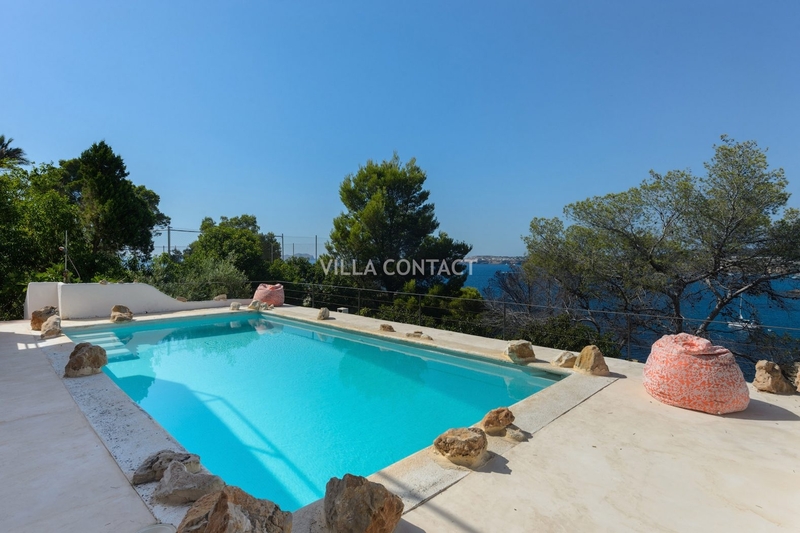 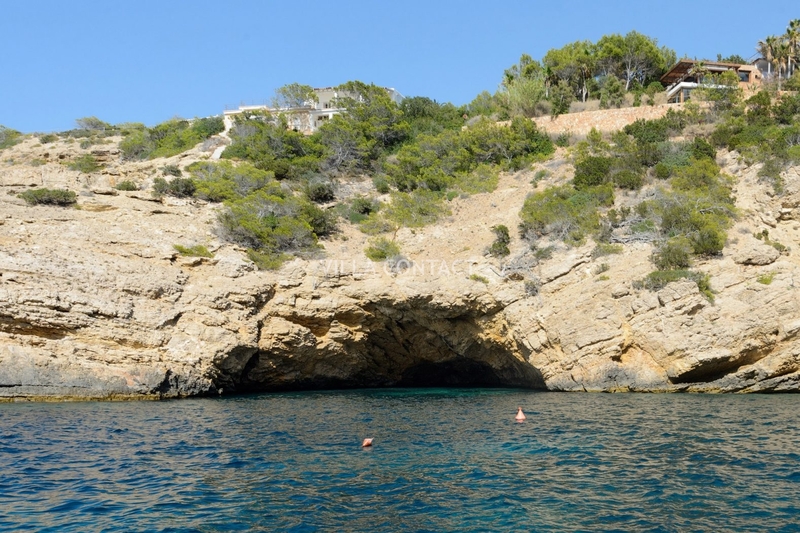 The pool is accessed from the lower ground floor and also enjoys the fabulous views of the bay of Es codola and the islands. 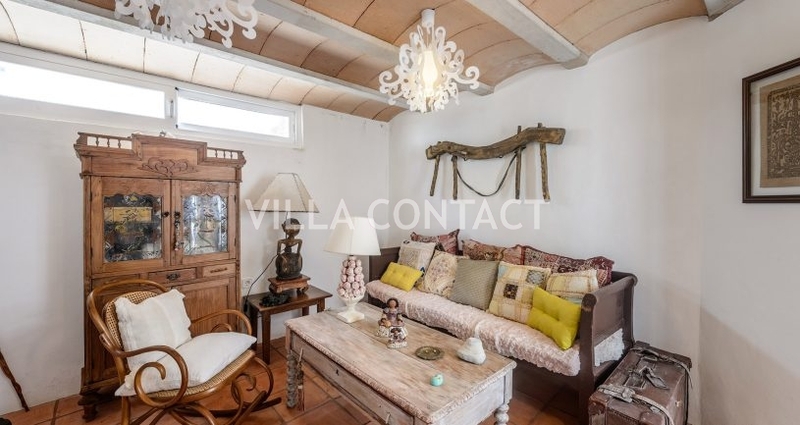 This property is a great investment property and has great potential for reform.